Are you considering teak flooring for your home? This very dense and durable exotic woodis water and insect resistant, making it an ideal flooring material for kitchens, bathrooms, and outdoor decks. The same resins which act as natural protection and repellent also give teak its distinctive shine and finish. As one of the densest woods, teak is well-equippedto withstand the test of time and the heavy use of children and pets. It is highly resistant to scratches, chipping, dents, splintering, and animal claw marks. The natural resins in teak flooring make it water-resistant, and so it is an obvious choice for saunas, bathrooms, kitchens, and boats. Teak’s oils also protect it from insects, so you don’t need to worry about termites or other insects destroying your teak wood. Because teak retains its natural oils, you can save money by leaving it untreated and letting it age naturally.Additionally, teak doesn’t splinter, so you can skip the sanding as well as the finish or varnish. A deciduous tree native to Southeast Asia, teak is now commercially farmed throughout the tropics. We provide sustainably farmed and reclaimed teak flooring products which are certified by the Forestry Stewardship Counsel (FSC). Teak loses its oils and needs to be re-oiled every two to three years to maintain its shine and color, as well as its resistance to water and insects. The dedicated crew at A & N Flooring has been servicing clients from across New York for more than three decades. Today, we have hundreds of satisfied customers from all boroughs and community sectors who testify to our consistently excellent service. Please contact us to book a free consultation to discuss your teak flooring project. Need professional wood floor installation in Williamsburg, Brooklyn? A & N Flooring is a small, family-owned flooring business that has been delivering quality service at affordable prices for more than 35 years. Our recipe for complete customer satisfaction is simple. To guarantee the highest standards of workmanship, we only use our in-house team of expert installers, and we never employ sub-contractors. We also train our team in the most advanced flooring techniques, so they can achieve the best results for every single floor. At A & N Flooring, we cater to a broad range of customers, from general contractors, construction companies, and real estate firms to architects, interior designers, and private home owners. Whatever your specific needs for professional wood floor installation in Williamsburg, Brooklyn, we have the skills and experience to meet them. We work with all of 50 species of wood floors, and we have specialty expertise in exotic wood flooring. We also offer a wide range of widths and types including solid, engineered, and hand-scraped hardwood floors. We work with selected unfinished floors and apply quality wood floor finishes, inlays, and borders. 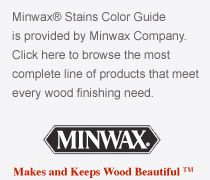 We also use major pre-finished brands. With so much choice, you’ll have no trouble finding flooring with exactly the right colors, hardness, finish, and pricing for your project. Demand for professional wood floor installation in Williamsburg, Brooklyn is rising in line with the area’s soaring property values. Williamsburg’s home owners and property developers are overwhelmingly opting for the timeless warmth, beauty, value, and convenience of wood flooring. Not only can they enhance the decor of any room, but wood floors are also easy to maintain, versatile, ecologically friendly, and affordable. In a national survey of real estate agents, 90% said that houses with wood flooring sell faster and for higher prices than houses without wood floors. To discuss transforming your room or property with professional wood floor installation in Williamsburg, Brooklyn, please contact us today for a free consultation. For professional wood floor installation in Manhattan, speak to the experts at A & N Flooring. We are a small, family-owned business with a long-standing reputation for excellent, reliable, and affordable service. We’ve been honing our recipe for customer satisfaction for more than 35 years, and one of the key ingredients is our strong, direct relationship with our customers. Unlike other companies who work with changing crews of sub-contractors, we only use our own team of expert installers. We can wholeheartedly endorse their work, because we know them and we trained them! The hard-working A & N Flooring crew has the sophisticated skill-set needed to deliver the best results from your professional wood floor installation in Manhattan. We also know our way around the huge array of wood flooring styles, colors, and species. Today, there are 50 species of wood floors, from traditional oak and rustic pine to trendy bamboo. We work across them all, but we offer specialist expertise in the increasingly popular exotic species. Once you’ve chosen the species, we’ll help you choose from the many different flooring widths, types, and finishes. We work with unfinished floors, providing a range of quality finishes and the extra option of elegant inlays and borders. We also offer a choice of major pre-finished brands for your professional wood floor installation in Manhattan. Whatever you’re looking for, we guarantee you’ll find the right color, style, hardness, finish, and price for your flooring project. As Manhattan’s property values soar, so to does the demand for high-quality wooden flooring. From construction companies and real estate firms to architects and private home owners, our clients across every sector are opting for the universal appeal of wood flooring. As well as offering timeless beauty and an incredible variety of looks, wood floors are easy to maintain, environmentally friendly, and a great value. In fact, in a national survey of real estate agents, 90% said that houses with wood flooring sell faster and for higher prices than houses without wood floors. To discuss your requirements for professional wood floor installation in Manhattan, please contact us today for a free consultation. A & N Flooring. We are a small, family-owned business that has built our reputation for quality, affordability, and reliability over more than three decades. At A & N Flooring, we are committed to complete customer satisfaction in every aspect of our work. While other flooring companies use changing crews of casual sub-contractors, we only use our own team of highly trained installers. Our crew is hard-working, friendly, and skilled in the most advanced flooring techniques, so they can deliver optimum results for your floor. We are an ideal choice for your professional wood floor installation in Queens, because we work across the full spectrum of styles, colors, and species. We offer all 50 species of wood floors, and we have specialty knowledge and experience of exotic wood flooring. Whether you’re looking for traditional oak, rustic pine, or trendy bamboo, we guarantee you’ll find the color and style to fit your décor. We’ll also help you select from the many different best flooring widths, types, and finishes. We work with unfinished floors, providing quality water-based, oil-based, acid-cured, and moisture-cured finishes, as well as elegant inlays and borders. We also offer a comprehensive choice of major pre-finished brands for your professional wood floor installation in Queens. At A & N Flooring, we cater to a broad range of customers, from general contractors, construction companies, and real estate firms, to architects, interior designers, and private home owners. Our clients across every sector choose wood flooring for its timeless beauty, value, convenience, and warmth. As well as being versatile enough to complement any decor, wood floors are also easy to maintain, ecologically friendly, and they deliver outstanding value. In fact, in a national survey of real estate agents, 90% said that houses with wood flooring sell faster and for higher prices than houses without wood floors. To discuss your requirements professional wood floor installation in Queens, please contact us today for a free consultation. Are you interested in mahogany flooring? Santos mahogany is a classic exotic hardwood which is beautiful, highly durable, and water-resistant. Santos mahogany has the same coveted characteristics as the native mahogany range, which today is nearly extinct. Santos mahogany has a Janka rating of 2,200, making it 18% harder than hickory, which is the hardest of North American hardwoods.As a result, santos mahogany is ideal for active households with children and pets, high-traffic rooms, and commercial spaces. Santos mahogany offers superb longevity, lasting more than a lifetime with proper installation and care. This makes santos mahogany flooring a smart investment for homeowners who want to avoid the constant upkeep and repairs involved with softer or lower quality flooring. Santos mahogany hardwood ranges in color from light brown to salmon pink to reddish brown and deep burgundy. Unlike other hardwoods, the hues of santos mahogany tend to stay constant over time. The rich colors are accentuated by a distinctively fine, interlocked grain, which becomes more lustrous when polished. The colors of santos mahogany can be preserved with a good, basic cleaning once every two weeks. A & N Flooring has the experience and expertise to advise you on and install and finish your santos mahogany flooring. We’ll talk you through the many different types, styles, widths, and colors, and we will help you choose the best combination for your project goals and budget. We’ll then focus on your high-quality installation. Our highly-trained crew has been servicing clients from across New York for more than three decades. Today, we have hundreds of satisfied customers from all five boroughs who testify to our exceptional service. Please contact us today to book a free consultation. We look forward to meeting with you and discussing your needs for Santos mahogany flooring.